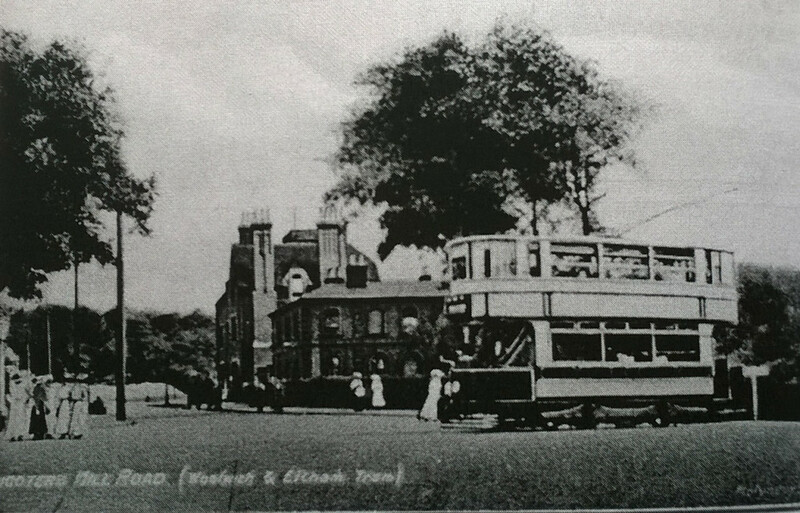 Head to Shrewsbury House on Thursday, 17th March, for Shooters Hill Local History Group‘s next meeting: a talk about Trams around Shooters Hill. All are welcome at the event which starts at 8.00pm. There is a small visitors’ fee to cover the cost of the room. During the early part of the 20th century, trams were seen as a way of bringing cheap travel to the masses. At 8pm at Shrewsbury House this Thursday 17 March, Tony Johnson will present a talk to the Shooters Hill Local History Group on Trams around Shooters Hill. He will deal with why trams were invented, who promoted them locally, and how they rose and fell as a transport mode. He will review the tram routes in the area around Shooters Hill, including intriguing proposals that were never fulfilled, profusely illustrated with pictures that will tap into nostalgia for the streetscapes of over half a century ago. The story of local trams is a fascinating one. The first one opened on 23rd July 1910. It ran from Beresford Square across Woolwich Common past the Shooters Hill Police Station then down Well Hall Road to Eltham Church. Tickets cost 2d, which is slightly less than 1p in new money. The line was unusual in that it was powered through overhead wires, like a trolley bus, rather than through the wheels and rails. This was a requirement of the Astronomer Royal who was concerned that the standard method would cause interference with sensitive astronomical instruments. Should be an interesting talk. 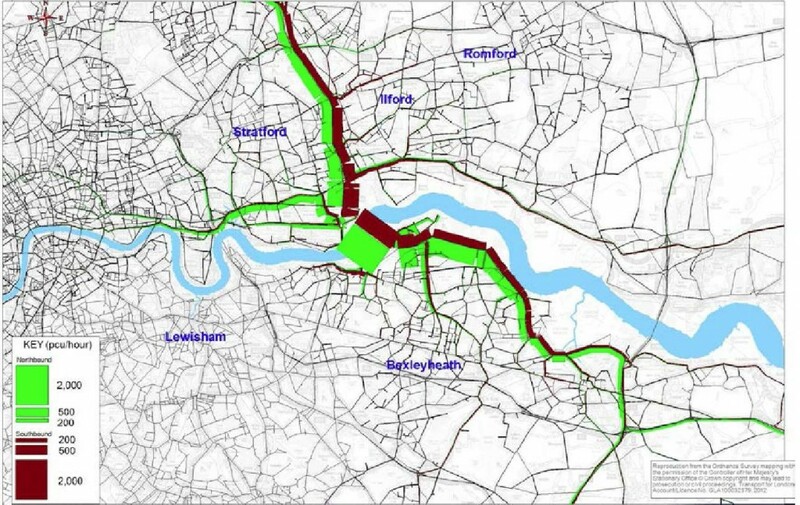 How will the proposed new East London river crossings affect traffic in Shooters Hill? This was the question I looked for answers to in the documentation accompanying Transport for London’s latest consultation on the crossings. As TfL have previously accepted that the road infrastructure south of the Thames is not adequate to serve the proposed new crossings this seems to be an essential question for them to answer. The documentation includes a Traffic Impact Report: great, I thought, that’s where I’ll find the answer, but no, it turned out to be far more complicated to find what I was looking for. The first complication is that the report assumes that the proposed Silvertown Tunnel has already been built. It doesn’t explicitly say so: it models the traffic effect of the new crossings compared with a Reference Case, which “reflects the highway network in 2031”. 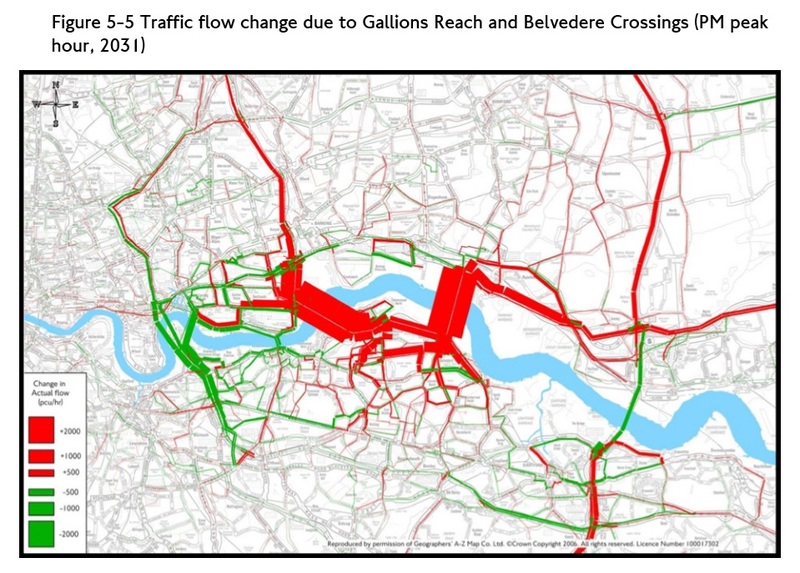 Reading through it quickly becomes clear that the traffic flow changes calculated are the effect of adding the Gallions and Belvedere crossings to a road system which includes the Silvertown Tunnel. Not the change from today’s traffic flows to those after the proposed crossings are developed. No problem: there was a Silvertown Tunnel consultation recently, which included amongst its archive documents a Traffic Forecasting Report from 2014. This should let me see the changes to traffic as a consequence of the Silvertown Tunnel, I thought, which I can combine with the latest report to see what the total impact of all the proposed new crossings will be. 6. The reference case represents 2021, and includes growth in population and employment from the 2009 London Plan. Population is expected to increase more rapidly in east and south east London than in other sub-regions. 7. The reference case also includes committed transport schemes. Public transport connectivity across east and southeast London improves because of planned investment including Crossrail. The Woolwich Ferry is assumed to have been enhanced with 30% additional capacity. The reference case does not include the Silvertown Tunnel. 8. From 2012 to 2021 the proportion of travel by car is expected to fall in Greenwich, Newham and Tower Hamlets, but the growth in population and employment result in an increase in total car trips. The Silvertown Traffic Forecasting Report also considers in Appendix C the impact of the Gallions and Belvedere crossings on traffic flows. Interestingly it ends up with different results to those presented in the Gallions/Belvedere consultation Traffic Impact Report. The impact of the Gallions Reach and Belvedere crossings compared to the reference case from the Gallions/Belvedere Report. Red on these maps indicates increased traffic flows and green reduced. The scale and resolution of the maps make it difficult to work out which local roads suffer traffic increases, but it’s just about possible by zooming in and looking at the shape and orientation of the roads. The red/green bar method of showing traffic changes also tends to obscure rather than illuminate. Anyway, here’s my interpretation of what the modelling is showing. 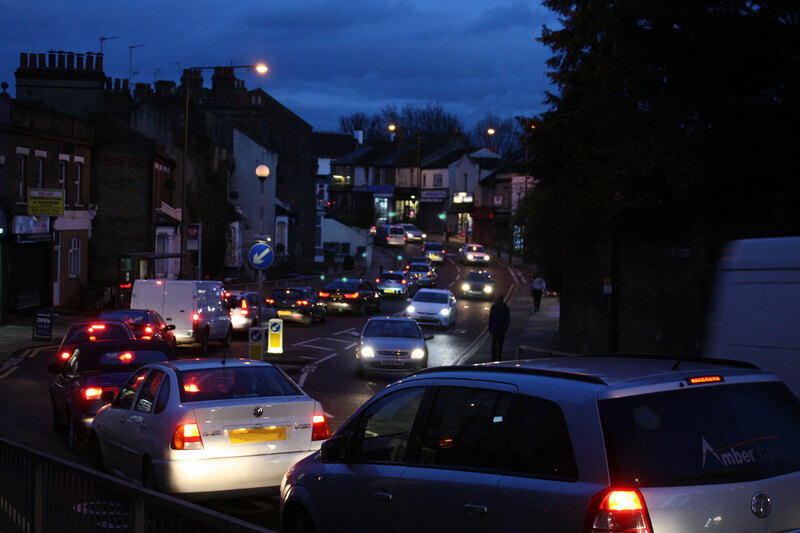 The reference case, which just reflects population growth and an increase in Woolwich Ferry capacity, already has big increases – 100 cars per hour or more – along Shooters Hill Road, Shrewsbury Lane, Plum Lane and slightly surprisingly Donaldson Road too. The increase along Plumstead Common Road looks even bigger, and also along Kings Highway, Wickham Lane down towards Knee Hill. Bringing the Silvertown Tunnel into the model there is a decrease in traffic flow along Shrewsbury Lane and Plum Lane, but an increase in Red Lion Lane which runs in a similar direction. Along Shooters Hill and Shooters Hill Road traffic flows increase again, and the route down through Charlton to the tunnel has more traffic, affecting Baker Road and Stadium Road past the hospital then Charlton Park Lane and Cemetery Lane. In the Silvertown Tunnel report the impact of the additional crossings at Gallions Reach and Belvedere is a very slight reduction of traffic along Shrewsbury Lane, but an increase along Eaglesfield Road to Plum Lane which is unexpected (and unlikely I would have thought), and an increase in Plum Lane itself. 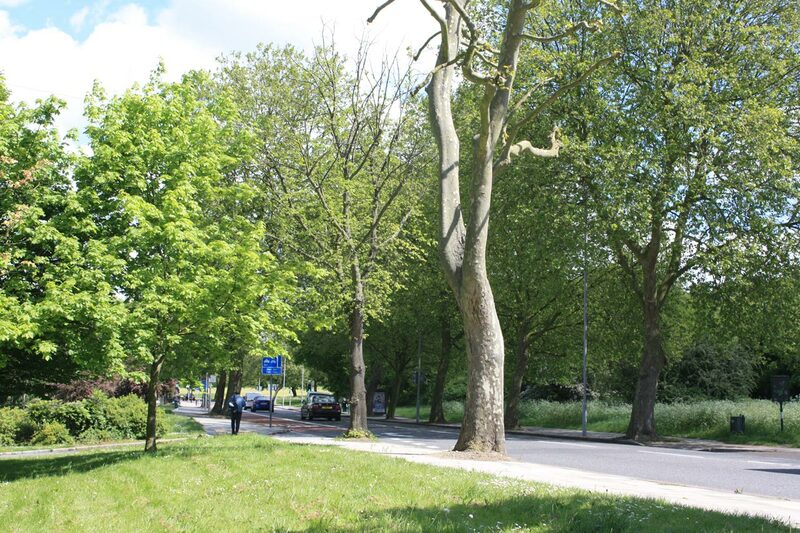 Not unexpected are the additional increases in Plumstead Common Road and the route down to the High Street via Griffin Road, nor those from Plumstead Common down Kings Highway to Wickham Lane and Basildon Road and Eynsham Drive. There is lots of red showing big increases from the A2 over towards Gallions Reach and Belvedere, affecting Upper Wickham Lane, Lodge Hill, Okehampton Crescent, Brampton Road and Knee Hill (yet again). It also predicts that traffic going along the bottom of Herbert Road, through the shops will increase. Can you imagine even more cars trying to negotiate the hazardous route between parked vans and oncoming buses in the rush hour? The final map, from the current consultation, is similar to the previous one but now there is an increase in traffic along both Shrewsbury Lane and Eaglesfield Road. Other flows appear to be increasing less than in the Silvertown report. In the Gallions Reach/Belvedere report TfL admit to using an earlier version of the traffic model than in the Silvertown report, but don’t really explain why. The striking feature of all of these maps is the amount of red on them, showing cumulative increases in traffic flows as each crossing is built. The traffic modelling doesn’t seem to take account of how the roads actually are. For example, that nice straight red line showing increased traffic from Shooters Hill along Shrewsbury Lane and Plum Lane through to Plumstead Common Road. These are residential roads, not suitable to be used as a through route, with speed bumps, and a 20mph limit along Plum Lane. Very often the traffic is single file due to parking on either side of the road. Plum Lane passes close by Plumcroft Primary School. And at the bottom there’s that narrow one way stretch of Plum Lane, making traffic going down the hill turn left and then right along Kirk Lane to get through to Plumstead Common Road. The very sharp turning between Plum Lane and Plumstead Common Road doesn’t exist as far as TfL are concerned. 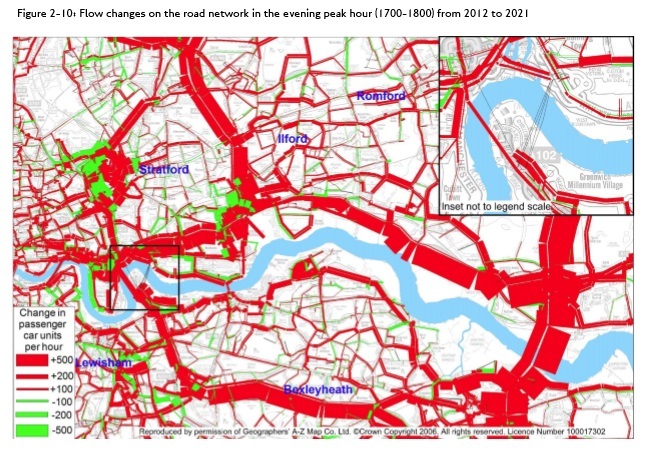 Similar points could be made about many of the other roads showing increased congestion on TfL’s maps. There are campaigns in Plumstead and Bexley to oppose the crossings, largely because of the devastating impacts on local residential roads. 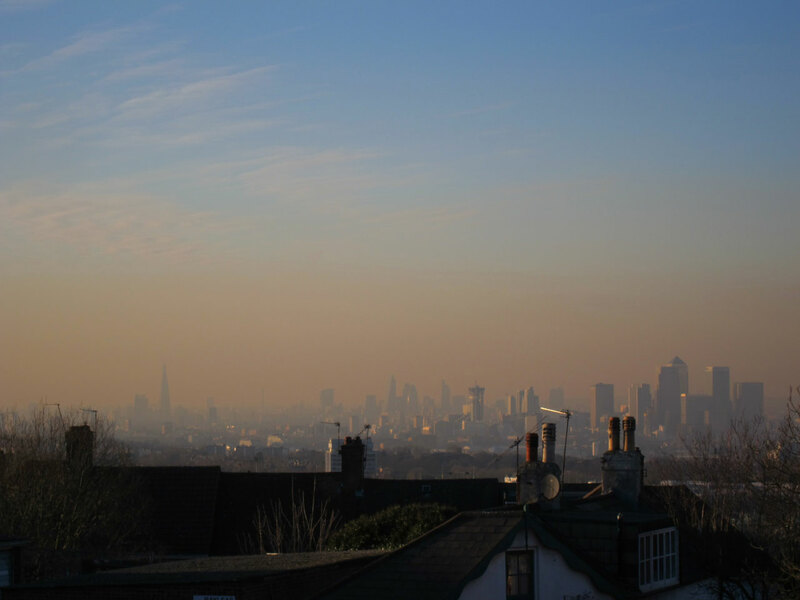 The main effect of breathing in raised levels of nitrogen dioxide is the increased likelihood of respiratory problems. Nitrogen dioxide inflames the lining of the lungs, and it can reduce immunity to lung infections. This can cause problems such as wheezing, coughing, colds, flu and bronchitis. The UK Air Quality Strategy and EU legislation both set an annual average limit for NO2 of 40 µg m-³. In London in 2013 only two local authorities met the limit for NO2, and Greenwich wasn’t one of them. 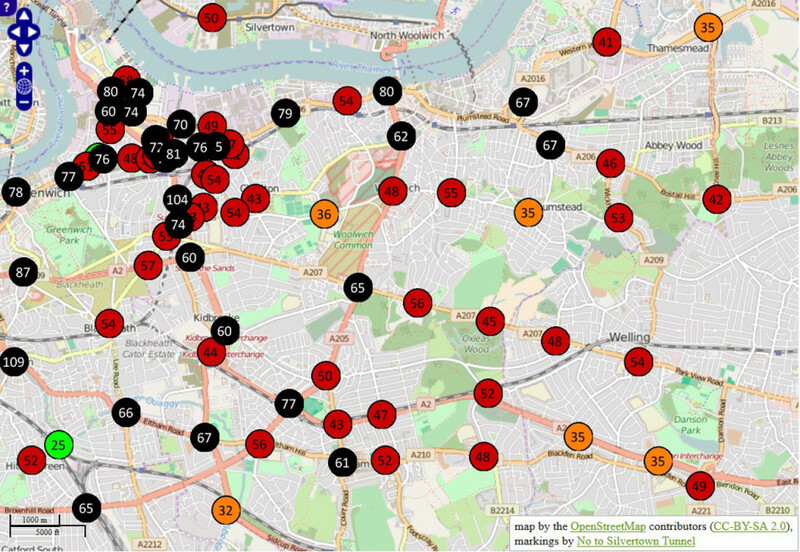 Kings College’s London Air web site has mapped 2010 NO2 levels across London: I’ve included a snippet showing Shooters Hill below. The 40 µg m-³ is shown in yellow on the map, with higher concentrations in deeper shades of orange and red. As well as the major roads, there are high levels along Shrewsbury Lane and down Eglinton Hill, Sandy Hill Road, Burrage Road, Plumstead Common Road and Swingate Lane. We have until Friday 12th February to respond to this latest consultation. The main themes of this consultation are whether it would be better to build a bridge or dig a tunnel at the two locations, and about how public transport might link to them. We can respond through an online survey, by email to rivercrossings@tfl.gov.uk or by writing to FREEPOST TfL CONSULTATIONS’. As I’ve said before in posts about a previous consultation and about Oxleas Wood TfL need to say how they will solve the inadequacies of the transport network south of the Thames and demonstrate that new crossings will not cause congestion and pollution in residential roads. Otherwise people will think that they are cynically conspiring to cause chaos and compromise air quality in south-east London so as to be able to justify a new motorway from the A2 to the river through Oxleas Wood, Woodlands Farm and hundreds of Plumstead homes. The majority of feedback supported the introduction of new fixed link crossings, rather than enhancement of existing or introduction of new ferry crossings. Having considered all of the issues raised in the consultation, we will now continue to develop the concepts of new bridges at Gallions Reach and Belvedere, and we will also consider whether tunnels would be more suitable by releasing greater land for development than would be possible with a bridge. We will put our consideration of proposals for a new ferry at Woolwich and a ferry at Gallions Reach on hold, pending the outcome of this work. 65% of respondents to the consultation “strongly supported” the Gallions Reach bridge option and a further 15% “supported” it (80% total support), as you can see in TfL’s summary of the results below. In comparison the figures for improving the Woolwich Free Ferry were 19% and 18% respectively (37% total support). 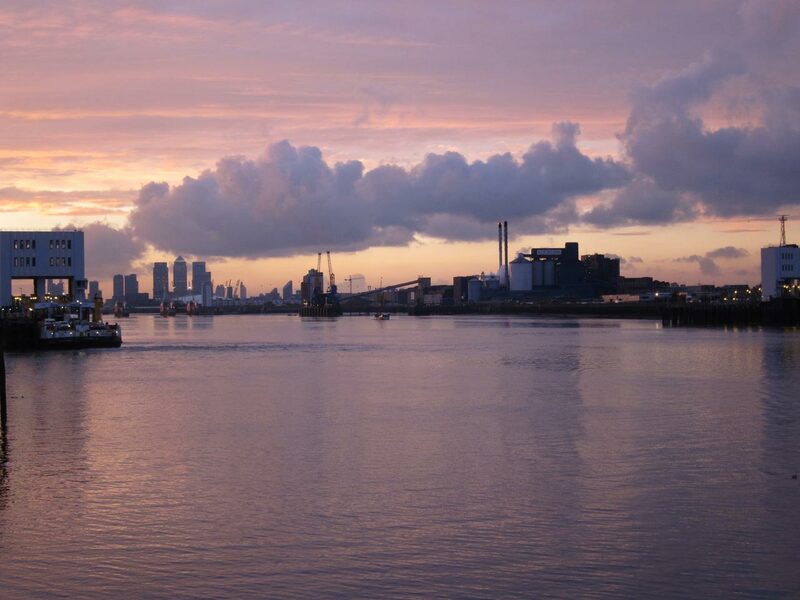 Opinion has hardened in favour of a Gallions Reach bridge and against the Free Ferry since the previous consultation in 2013: a Gallions bridge or tunnel had the support of 71% and the Free Ferry 51% in that consultation. The Consultation Report gives all the results and presents a selection of the comments made by the public about each of the options. Strangely it manages to find no comments in favour of the Woolwich Ferry option and a page and a half against. You would almost think that TfL were trying to present a particular point of view rather than impartially report on the results. In the image at the top the new Gallions Reach bridge would cross the river roughly in the centre of the photo, this side of the Barking Creek tidal barrier – the high structure just to the right of centre, on the river. The bridge would be higher than the Barking barrier. The proposal for a new tunnel at Silvertown was not included in this consultation, in fact it is assumed in all the supporting documents that the Silvertown Tunnel will have been built by the time any of the consultation options are constructed. Additional traffic capacity at Silvertown is the main plank of TfL’s defence against the charge that the road infrastructure south of the river is inadequate for the expected traffic going to the new crossing at Gallions Reach. As well as the Consultation Report, TfL have published a Response to the Issues Raised document which gives TfL’s opinion on specific objections raised about the different crossing options. 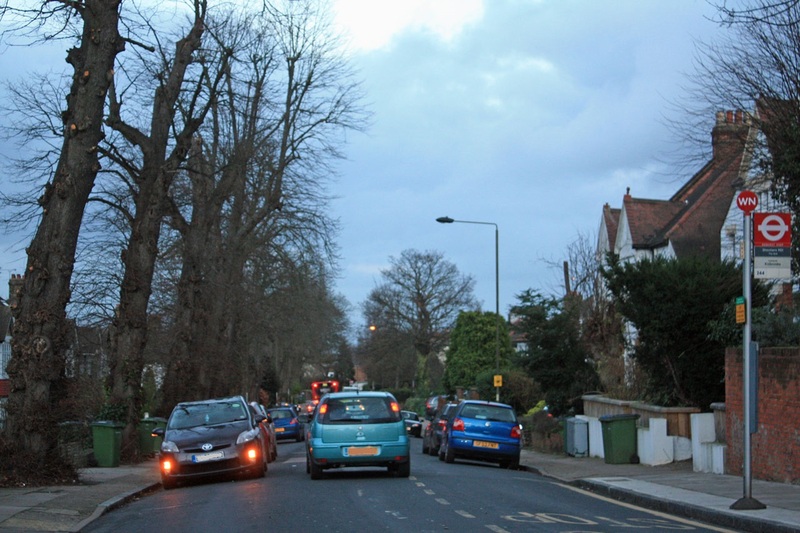 It has sections on concerns about increased traffic and congestion, and about the threat to Oxleas Wood. They have two responses on traffic increase and congestion: Paraphrasing, firstly they say they warned us that there would be more traffic on some roads, but they don’t know which roads will be affected. Part of their work in the next stage will be to work out what impact a Gallions Reach Bridge will have on traffic flow and what they can do about it. The second response is that they think most non-local traffic will use the tunnels at Blackwall and Silvertown and not the new bridge because the tunnels have better links on the other side of the river. Doesn’t exactly fill me with confidence that they’ve thought this through, and there is an implicit assumption that the crossing will go ahead and any problems will be “mitigated”: even if the future work shows that Plumstead will be gridlocked with traffic that will not stop the crossing’s construction. An almost identical response is given to concerns about the environmental impact: we’ll do some more work to understand the impact and how it can be “mitigated”. It is not the intent that the new crossings will provide a new strategic route for traffic with no local origin or destination, and it is not intended to carry traffic between the A2 and the North Circular, a journey which would remain more convenient via the Blackwall tunnel. What does “local” mean in this context? TfL don’t say. The response also mentions that the Gallions Reach Bridge would be one of three new crossings, with the Silvertown Tunnel and Belvedere Bridge, so the traffic load would be spread, and it asserts that tolling the crossings will allow TfL to manage how much traffic uses them. Some of the details given about the new bridge are interesting. It will have two lanes of traffic, but one will be reserved for public transport and HGVs. There will be provision for pedestrians and cyclists to use the bridge, and they are considering whether it should carry the DLR over the river to Thamesmead and Abbey Wood. As well as traffic and environmental impact assessments, TfL’s next steps include considering “whether we might need to take additional traffic management or other mitigation steps to ensure the new crossings operate successfully and sustainably” and “how we can make best advantage of the opportunities that new river crossings would give us to improve cross-river links for pedestrians, cyclists and public transport passengers”. They don’t say when the next stage will be complete. Whatever emerges from the next steps the future doesn’t look good for the Woolwich Free Ferry. Two thousand and twenty-eight pages in eighteen impenetrable documents have been published by Transport for London as part of their consultation on new river crossings in East London, and nowhere does it discuss the prospect of increased traffic in residential roads south of the river. 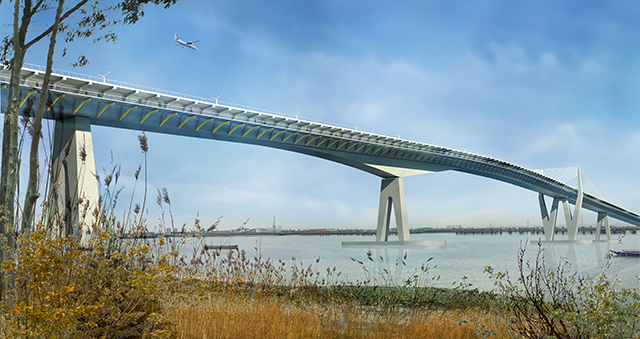 A surprising omission since the poor road infrastructure south of the Thames was one of the major issues in earlier consultations, and could be seen as the reason that the previous Thames Gateway Bridge scheme was cancelled. Also, bizarrely, all the traffic modelling assumes that the Silvertown Tunnel is already in place! Why? Not only is it not in place, but its construction is not even part of the current consultation: there will be a separate consultation later about Silvertown. Even if the tunnel is approved it will take longer to construct than a bridge or ferry at Gallions Reach so for several years we’ll be dealing with the impact on traffic in the absence of the tunnel, and that’s what the modelling should have shown. 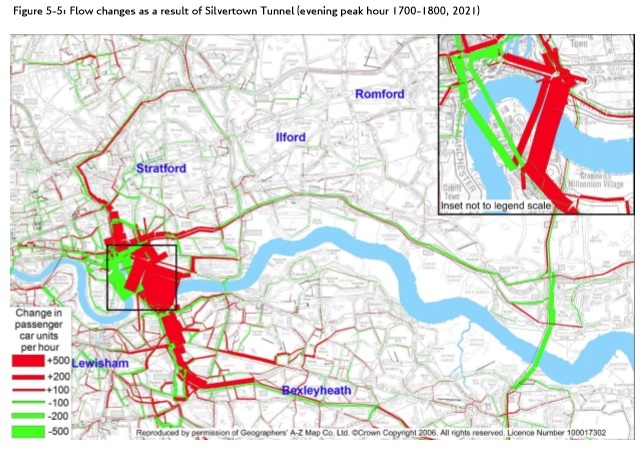 This assumption that the Silvertown Tunnel has already been built pervades the Traffic Impact Report, to the extent that many of the traffic flow maps don’t show how traffic will change compared to today, but how they will change compared to the flow after the Silvertown Tunnel has been developed. They are useless for anyone trying to work out how traffic flows will change in the future. We have until 18th September 2014 to respond, and can do so using an online survey. It can be completed quite quickly; there are just 15 simple questions. Transport for London are holding some roadshows about the proposals where TfL say their staff will be able to answer any of our questions. There is one at Woolwich Library tomorrow (26th July) between 11.00am and 4.00pm and another at the Broadway Shopping centre, Bexleyheath on Saturday 30th August from 9.00am to 2.00pm. It should be noted that the RXHAM is strategic in nature and is used to identify broad changes in traffic patterns across the highway network, as well as the magnitude of this change. The results should not be taken as a definitive forecast of future flows, especially on minor roads or at individual junctions. Also the models do not yet assume any mitigation measures that might be introduced such as changes to junction capacities or new traffic calming measures. The map shows some traffic increase through Plumstead and Knee Hill, but surprisingly nothing coming from the South Circular at Woolwich. I wonder where all the traffic that currently crosses the river on the Woolwich Free Ferry goes to? Later in the document in the section about the routing of trips using an enhanced Woolwich Ferry it states that “the main roads used to access the ferry south the River Thames are Beresford Street, Western Way and Eastern Way.” Again no South Circular. Is something missing from the model? TfL’s work on the traffic impacts of a Gallions Reach crossing will not, in my opinion, be complete unless they include a convincing, costed proposal for solving the inadequacies of the transport network south of the Thames that politicians commit to. Otherwise the additional traffic generated by the new crossing will overload local residential roads leading to pressure for new roads and a renewed threat to our heritage ancient woodland. 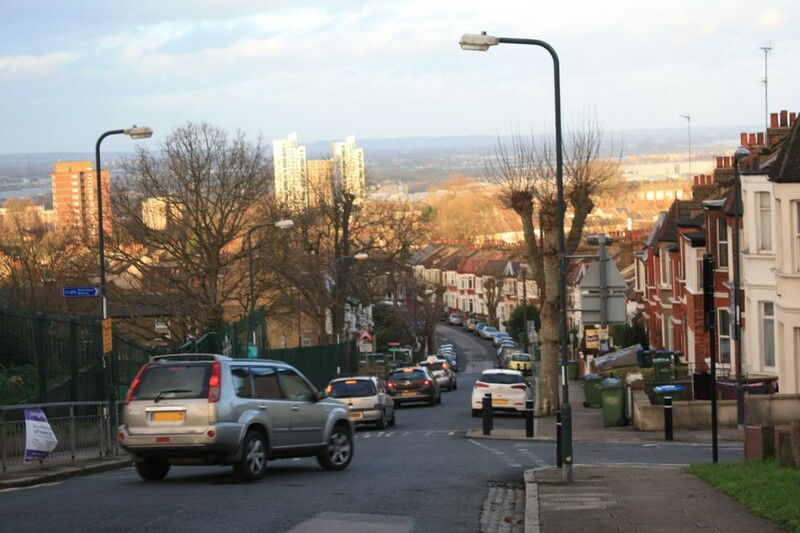 It’s still not complete, and as it stands will lead to increased traffic through residential roads that weren’t designed to take it, leading to pressure for more road building and threatening Plumstead and Oxleas Wood. 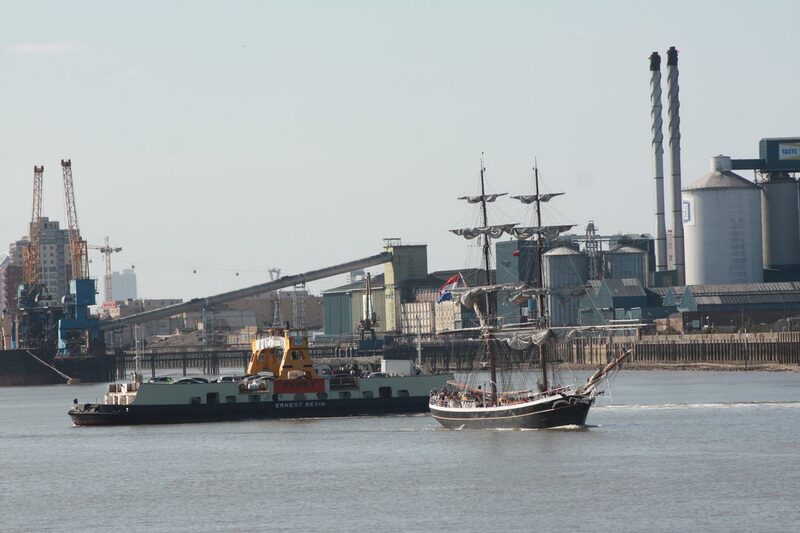 Not to mention the end of the Woolwich Free Ferry. A campaign to oppose the Gallions Bridge is being set up. 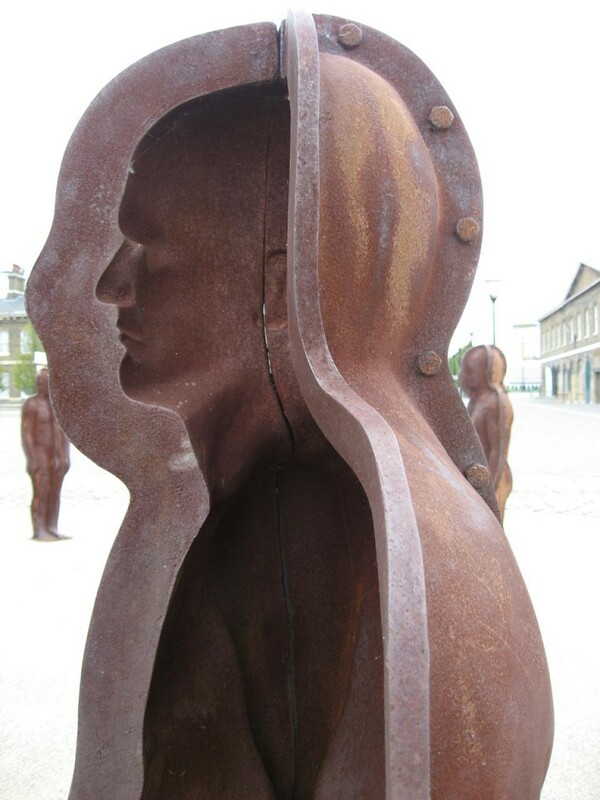 I asked my questions at the roadshow in Woolwich on Saturday. As far as TfL is concerned the Silvertown Tunnel is going ahead so they felt it would be wrong to not include it in the traffic models, and they expect it to be complete before any of the other crossings. Of course if there were no Silvertown Tunnel, I was told, traffic flows over the other crossings would be significantly higher. They didn’t feel it was dishonest not to include the results of modelling without Silvertown. There will be two more consultations about the Silvertown Tunnel, but they would not be about whether it was built but how. I expressed surprise at the results of the traffic modelling: in particular the predicted reduced traffic flows from the South Circular Road through Woolwich to a proposed Gallions Reach Bridge, and that the increased flows predicted seemed to show traffic would go along the M25 as far as the approach to the Dartford Crossing, and then turn off along the Thames to Gallions Rach to cross there. The only response was “that’s what the model shows”. There are no current plans for improved road infrastructure South of the Thames, and I was advised to express my concerns in the consultation. Traffic tunnels seem to be in vogue at the moment, whether it be the proposed Silvertown tunnel or the Mayor of London’s proposals to put stretches of the South Circular Road underground and to dig an Inner Ring Road tunnel round central London. This despite evidence from the 2011 census that car ownership in London is dropping, and research showing that building new roads generates more traffic. Shooters Hill hasn’t been immune to tunnel planners’ dreams. 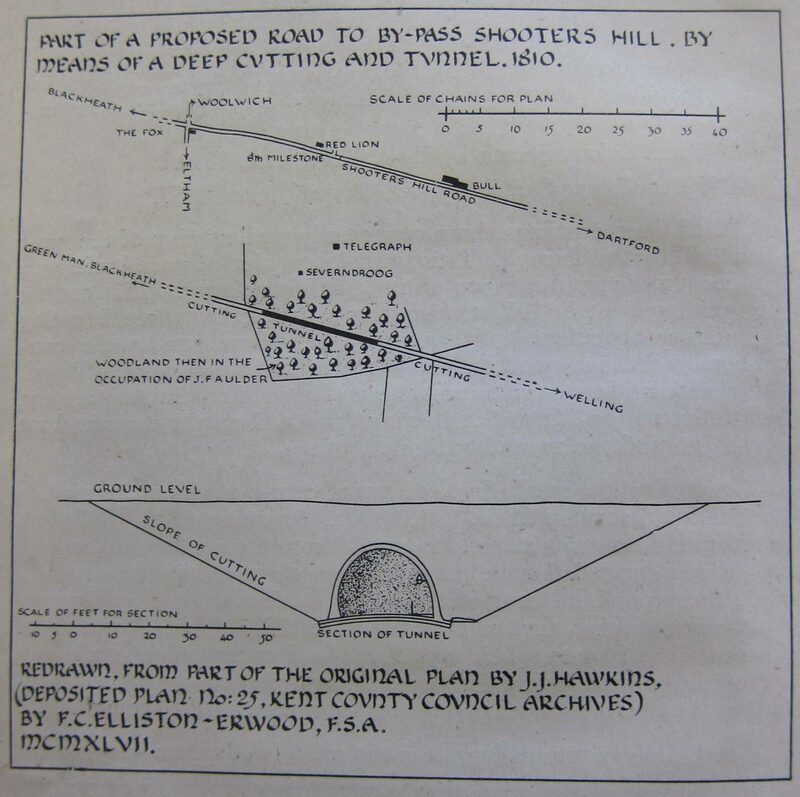 An early proposal is included as an appendix to a slim 1947 monograph “Road Works at Shooters Hill, Kent, 1816”, by F.C Elliston-Erwood in the Greenwich Heritage Centre’s search room. Frank Elliston-Erwood, who lived on Shooters Hill, was a distinguished local historian. He was at different times president of the Greenwich and Lewisham Antiquarian Society and twice president of the Woolwich and District Antiquarian Society. He was a member of the WDAS for 70 years, first joining as a teenager and continuing until his death in 1968. One of his interests was the New Cross Turnpike Trust, and it was from their minute books that he extracted the information for his paper about road works on Shooters Hill. The paper is mainly about how the New Cross Turnpike Trust tried to create employment in the economic depression which followed Wellington’s victory at Waterloo and the end of the Napoleonic Wars. It was “a period of commercial and industrial upheaval, coupled with misery, poverty and unemployment”. The Trust decided to allow £1000 out of their tolls at a rate of £50 per week to employ as many poor men as they could at a maximum wage of 10s (50p) a week in work such as the “the digging or quarrying of gravel or stones” and “the levelling or reducing of hills”. On Shooters Hill they moved gravel from the steeper parts and deposited it in hollows to smooth out the incline. The result can still be seen, for example on the western side of the hill on the road opposite Craigholm where the pavement rises above the road following the original slope of the hill. Similarly on the eastern slope there is an embankment on the Oxleas Wood side of the road. The map and plan at the top concludes the paper. It shows a proposal for a road that bypasses the steep top of the hill, running parallel to Shooters Hill but on the Eltham side of Severndroog Castle. It was planned to run through a deep cutting and about 400 yards of lamp-lit tunnel. Needless to say the proposal was never implemented. The author of the plan clearly liked his pubs – the map includes the Bull, the Red Lion and the Fox and shows the bypass heading towards the Green Man in Blackheath. The Fox was the old Fox under the Hill, which subsequently was moved further down Shooters Hill Road. A more recent proposal for a Shooters Hill tunnel was considered as one of the options for a new Thames Crossing which Transport for London consulted about last year. Option D6 in the Assessment of Options Report was for a Woolwich Tunnel joining the South Circular to the North Circular. The proposal is complicated by the presence of other tunnels in the vicinity – the Woolwich Foot Tunnel and Cross Rail, not to mention the DLR, so it would have to be a deep tunnel underneath all the others. Also the steep slope up from Woolwich towards Shooters Hill makes it difficult to start a tunnel close to the river, leading to the proposal shown below with a tunnel entrance all the way up at Eltham Common. This means that the tunnel would be some five or six kilometres in length, the longest road tunnel in Britain. The South Circular at Eltham Common where the entrance to the tunnel would be is shown below. 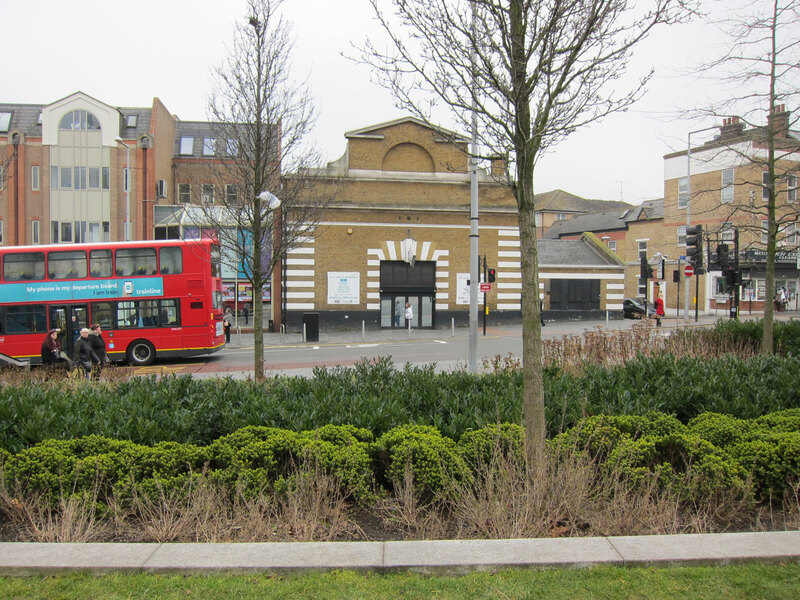 Just imagine this green scene replaced by a huge, 4-lane tunnel portal, like the entrance to the Blackwall Tunnel. Fortunately the proposal was discounted. There were a number of factors leading to the decision not to take this option further. It was felt that Well Hall Road would become a bottleneck, limiting the tunnel’s capacity and reducing journey time improvements. It would be difficult to upgrade Well Hall Road because it is residential and has houses on both sides. Also it was “unlikely that the scheme could be built without negatively impacting on the housing lining the A205 through Eltham”. 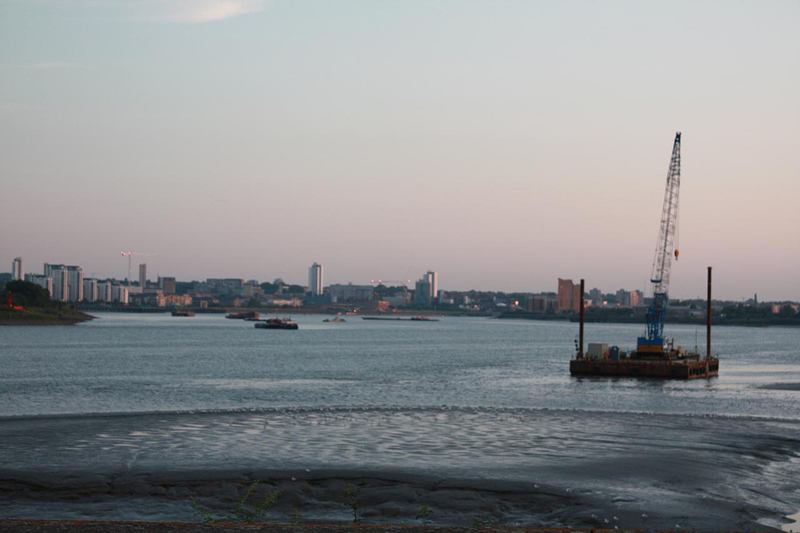 The tunnel was felt to be too far away from the river to benefit residents closer to the Thames, for example in Woolwich, and would not connect to the major roads along the south side of the river, and so would not contribute to development along the river. Then there was the possible cost of up to 6km of bored tunnel, estimated at £1.5-2 billion. All things considered a Woolwich Tunnel doesn’t make sense. In the longer term, any fixed link provides the potential for the highway connections to be amended or improved over time, to best suit the prevailing traffic and regeneration needs of the area. 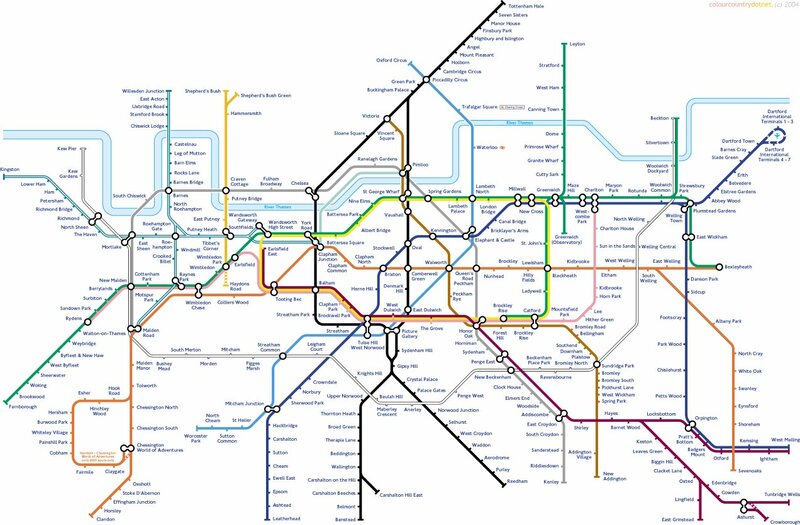 For example, the connections to the strategic network could be improved in the long term, such as through the provision of a direct link to the North Circular together with a tunnel south to the A2. This could potentially address the local concerns about traffic on residential roads in Bexley by providing an effective by-pass, while delivering large journey time benefits to the wider area by providing a more easterly strategic orbital route. In time this could replace the Blackwall corridor as the main strategic route, and deliver benefits to regeneration in the Lower Lea Valley. So once any Gallions Reach crossing is in place any changes in traffic level – the then prevailing traffic – could lead to the building of additional roads, such as one through Oxleas Wood, to create the major easterly strategic route. 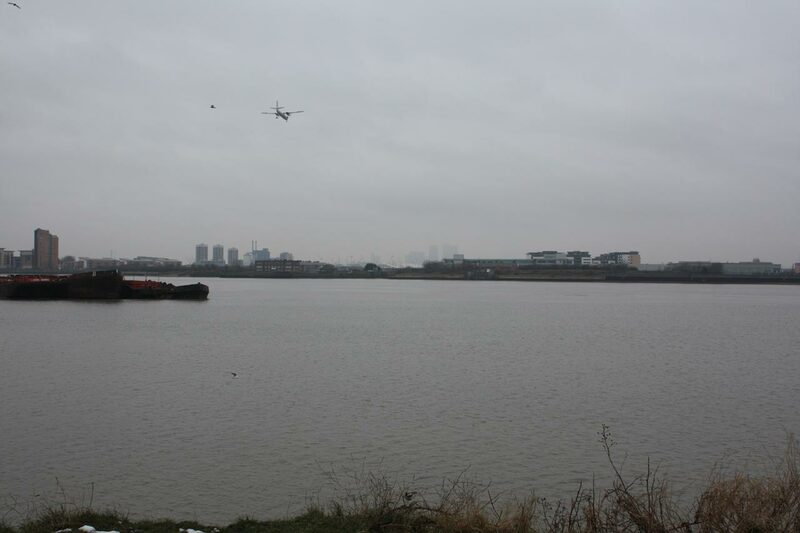 Concern about increased traffic levels on residential roads south of the river as a result of a new river crossing at Gallions Reach were heightened by a report produced for the London Borough of Newham on the Economic Impact of Gallions Reach Crossings. It presents the results of traffic modelling of different options for a Gallions Reach crossing, generated using Transport for London’s highway model of East London known as ELHAM. Amongst the results was a map showing northbound traffic flows in 2021 assuming a bridge was built at Gallions Reach. The snippet below shows the area south of the river. It’s a difficult map to read, and it took me some time to work out what it was saying. The green blocks represent high traffic flows, and the large block in the middle of the picture is the Gallions Bridge itself. Working southwards from the bridge, the high traffic flow roads seem to be: Western Way, down to the gyratory near Plumstead Station, then up residential Griffin Road, across Plumstead Common on Warwick Terrace and then along Swingate Road, Edison Lane, Wickham Street to meet Bellegrove Road: none of these roads is designed for large traffic flows. To the west there are also high flows in Plum Lane, and to the east large flows down narrow Knee Hill. And, as usual, the modelling doesn’t cover what would happen if one of the other Thames crossings was blocked, which seems a common occurrence at the moment, and all the traffic heading down the A2 to the Blackwall Tunnel turned off to Gallions Reach. There is no analysis of the impact and costs of a tunnel from Gallions Reach to the A2 in the Assessment of Options document. 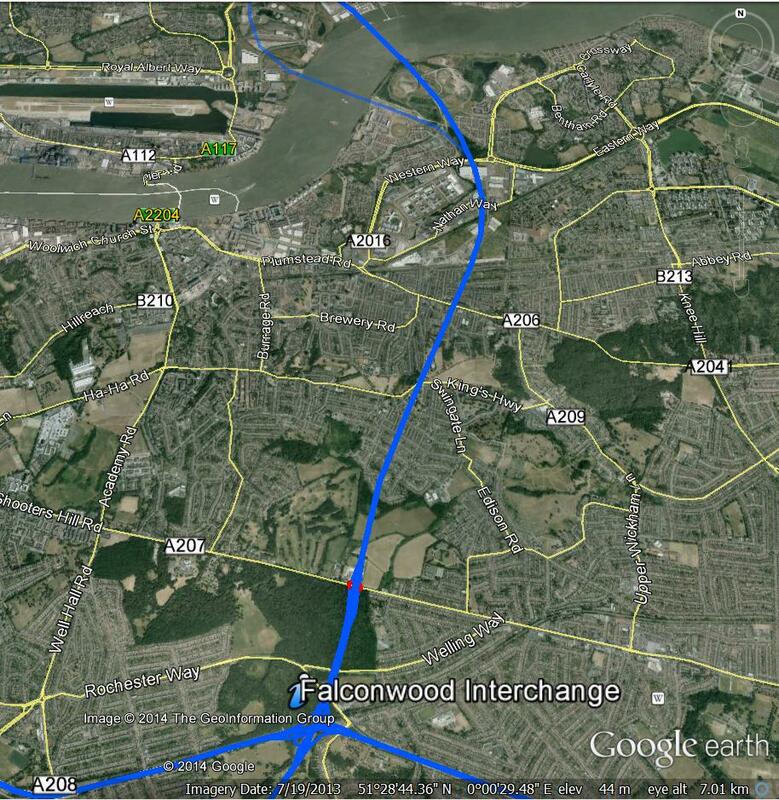 As can be seen on the snippet from cbrd.co.uk web site’s superb UK roads database below, if the tunnel went from Gallions Reach all the way to the A2 at Falconwood it would have to be longer than a 5-6km tunnel from Eltham Common under the Thames, and well over twice the length of the UK’s longest road tunnel the 3.2 km Queensway tunnel in Merseyside. 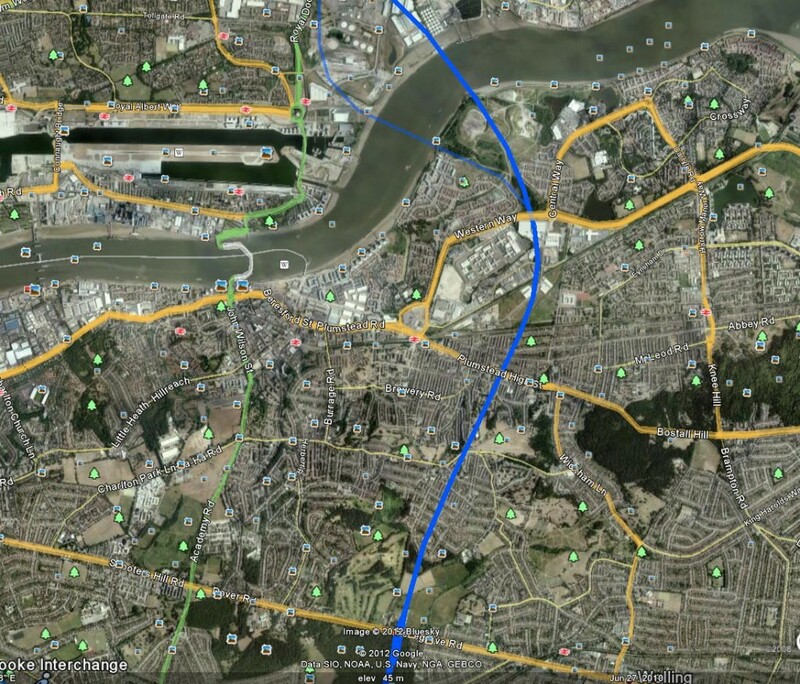 If it were a bored tunnel it would cost more than the £1.5-2 billion estimated for a Woolwich tunnel. Should a cheaper construction option be chosen then people’s homes in Plumstead and ancient Oxleas Wood would be threatened yet again. If the “prevailing traffic” following development of a Gallions Reach bridge led to a revival of plans for a road to the A2, along the lines of Ringway 2, one of the consequences would be the massive road junction shown below – splat on top of Woodlands Farm. It has been suggested that a Transport for London document revealed by a recent freedom of information request shows that a road through Oxleas Wood is included in one of the traffic scenarios that TfL are modelling for the Mayor of London’s Roads Task Force. 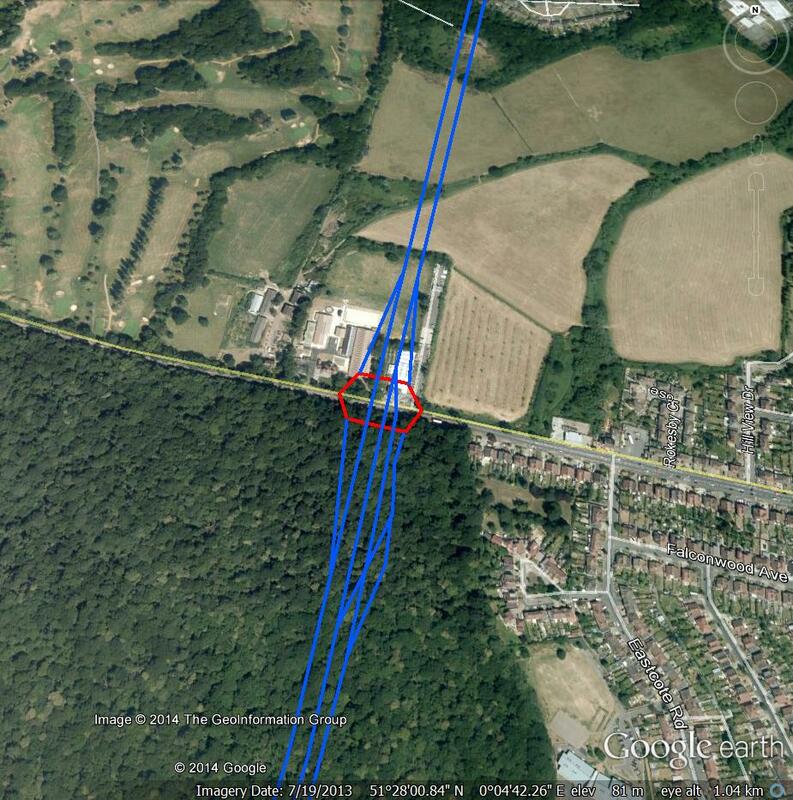 Last July was the 20th anniversary of People Against the River Crossing‘s victory in its campaign to save Oxleas Wood from a six lane motorway, yet it still seems that the woods are not safe. The statement by badger-bashing Environment Secretary Owen Paterson that “clearing ancient woodland for houses and roads could be allowed as long as developers promise to plant 100 new trees for each ancient one felled” exacerbated my insecurity because the “Disneyland absurdity” of trying to recreate an ancient woodland was one of the key arguments PARC used to defend Oxleas. Fungible is one of my favourite words. It means interchangeable or freely exchangeable. For example a pound coin is fungible. If you lend someone a pound coin you would be happy to get any pound coin in return. People, obviously, are not fungible, though sometimes corporate bean-counting spreadsheet bashers behave as if they were. Are trees fungible? I don’t think so. At a simple level a 500 year old Oak tree is clearly not equivalent to a new sapling, and when you take into account the land where the tree is growing, its ecology and history, it is even more clear. When one side of the equation is a hazel or chestnut tree whose shape has developed through centuries of coppicing, that is part of an 8000 year old woodland and that stands in a historic landscape that provided the raw materials for the construction of the Royal Navy’s great wooden ships, there should be no dispute. 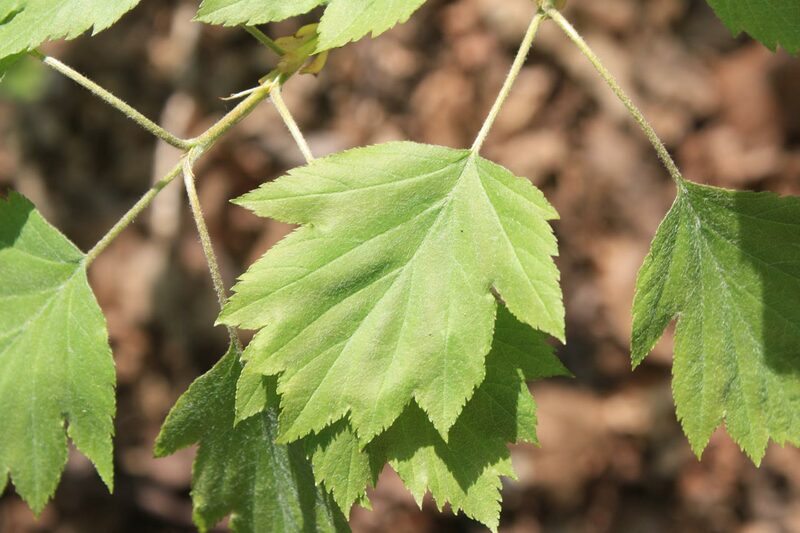 And what about rare trees like the Wild Service Tree that are found in few places in the UK, that are difficult to grow from seeds, reproducing through suckers from existing trees, and that are indicators of an ancient woodland ecology. Irreplaceable. As David Black explains in “The Campaign to Save Oxleas Wood”, because the order included “land forming part of a common, open space or fuel or field garden allotment” there had to be land given in exchange that was equal in area and “equally advantageous to the public”. However the land proposed to be given in exchange was part of Woodlands Farm, which already provided some amenity to the public, and it would be fenced off for ten years to allow trees to grow and even then would not have the ecosystem and history accumulated over thousands of years of the woodlands it was to be exchanged for. The objectors argued that this was not equally advantageous to the public. The Environment Secretary seems to be saying that this is no longer a valid objection and that the only thing that matters is the number of trees planted. This is important because there are still proposals to construct a river crossing – ferry, bridge or tunnel – at the same place as the East London River Crossing. 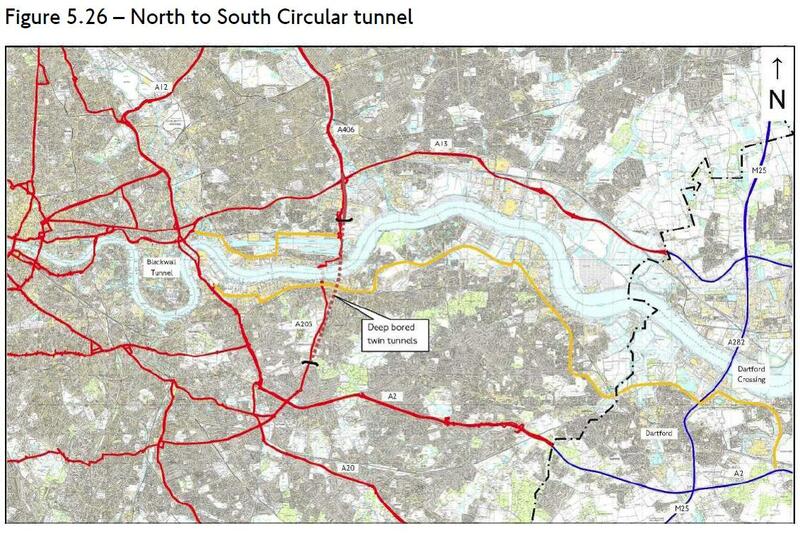 The reports from previous consultations admit that the road network south of the Thames is inadequate to support such a crossing, but doesn’t suggest how this can be rectified, other than a throwaway suggestion of “a tunnel south to the A2”. This is not a convincing suggestion. Elsewhere the report dismisses the option of a tunnel replacing the South Circular to Woolwich in part because it would be “the longest road tunnel in the UK by some margin”; a tunnel under Plumstead and Oxleas to the A2 would be far longer. Also the proposal for a tunnel under Oxleas Wood as part of the East London River Crossing scheme was dismissed on cost grounds, unless it were a cut-and-cover tunnel, which would destroy the ancient woodland anyway. In the coming months we will undertake further work to determine the traffic, environmental and regeneration impacts and benefits of the possible new river crossings, building on the initial assessments we have undertaken to date. We anticipate a further consultation later this year on options for replacing the Woolwich Ferry, including the options recently consulted on, allowing stakeholders and members of the public to consider the findings of our impact assessment work and enabling a decision to be taken on a way forward in the summer 2014. TfL’s work on the traffic impacts of a Gallions Reach crossing will not, in my opinion, be complete unless they include a convincing, costed proposal for solving the inadequacies of the transport network south of the Thames that politicians commit to. Otherwise the additional traffic generated by the new crossing will overload local residential roads leading to pressure for new roads and a renewed threat to our heritage ancient woodland. It’ll be interesting to see whether TfL provide this as input to their promised new consultation. 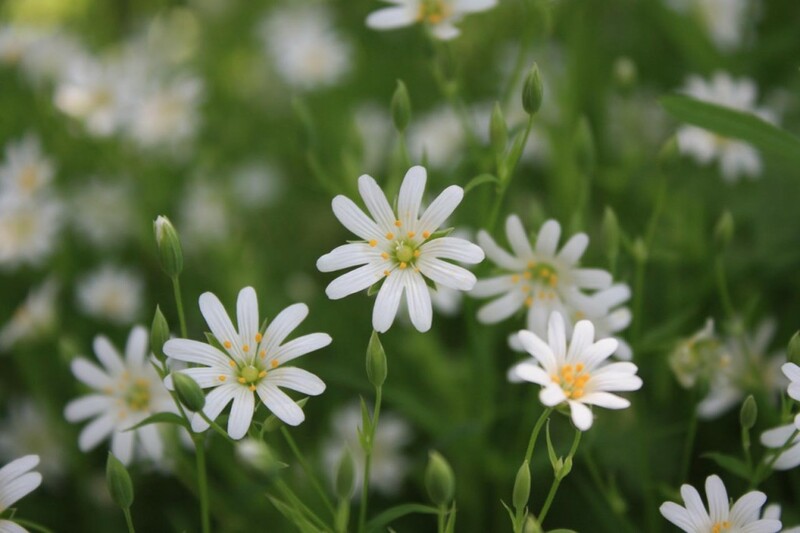 The pictures below show some of the flora of Oxleas Wood that we saw on Barry Gray’s Bluebell Walk last year. There are more photographs in a Flickr set, including Butchers Broom, Ladies Smock, Wood Sorrel, Wild Garlic and, of course, Bluebells. 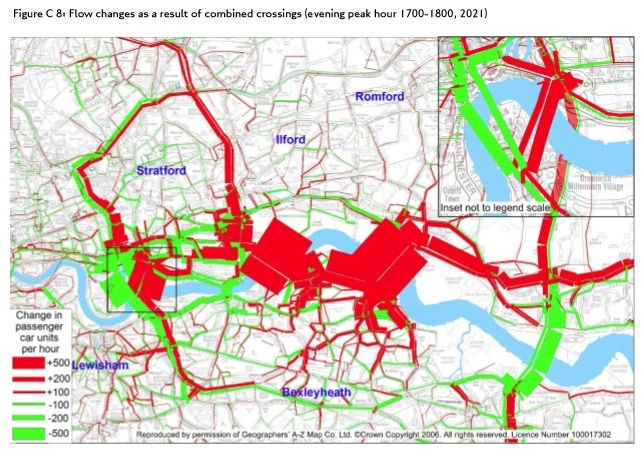 Transport for London have published the results of the River Crossings Consultation which they ran earlier in the year. It shows that more than 70% of respondents supported a Bridge or Tunnel at Gallions Reach (71%), and a tunnel between the Greenwich Peninsula and Silvertown (77%). Smaller numbers, just over 50%, supported a new ferry at Woolwich (51%) or Gallions Reach (52%). The TfL diagram summarising the results is included below. Interestingly Greenwich was the borough with most respondents, 34% of the total replies came from the borough. 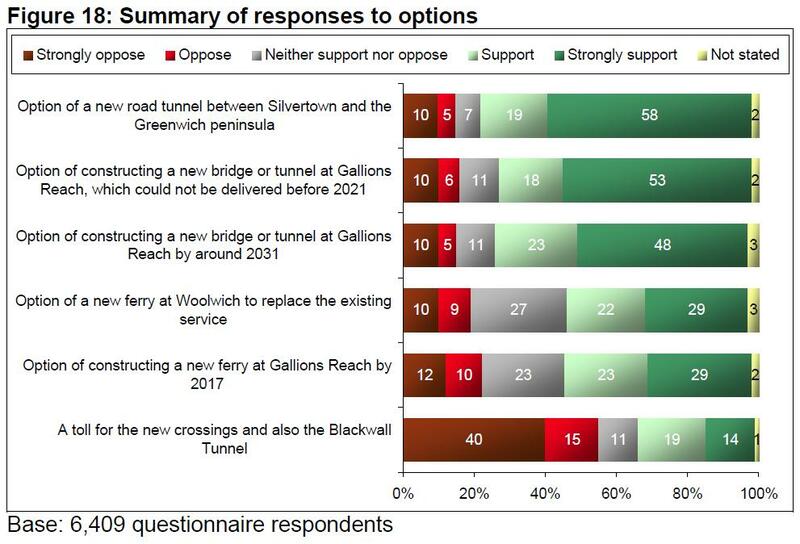 Greenwich people showed the highest percentage level of support for a new ferry at Woolwich and the highest level of opposition to the Silvertown tunnel. Those from Bexley had the highest level of opposition to a ferry or bridge at Gallions Reach, with 25% strongly opposed to a bridge out of 31% expressing opposition. Not surprising given the anticipated appalling impact of increased traffic on narrow roads in the borough such as Knee Hill. If the Mayor gives the go-ahead the detailed analysis of the options – Traffic modelling, engineering, economic analysis and development potential, charging strategy and wider benefits – will be done by September this year for the eastern-most options and February next year for the Silvertown Tunnel. I suspect it is only then that the real debate can start. I won’t repeat what I think about the proposals, it’s been covered in previous posts, apart from one observation. 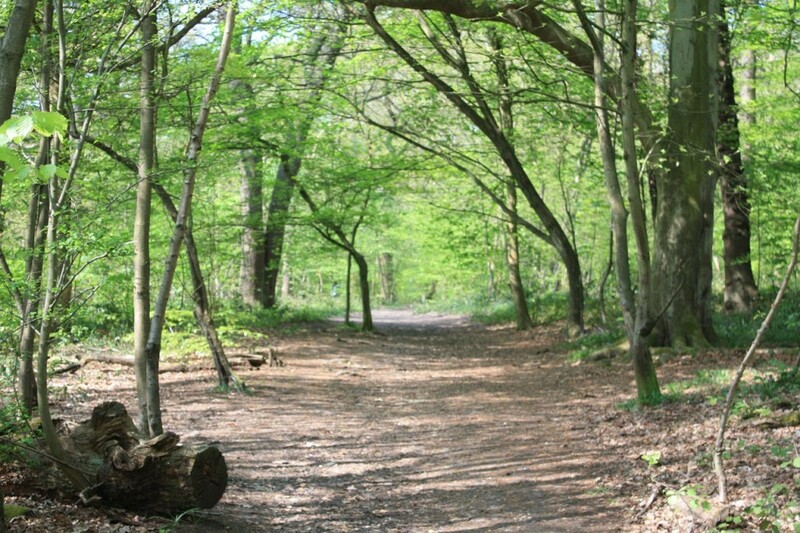 On the Bluebell Walk through Oxleas Woods last weekend, in the midst of the historic cants of coppiced Hazels and Chestnuts deep in the wood , the walk leader Barry Gray pointed out an old metal tube sticking up a couple of feet out of the ground. This, he explained, was a relic of the water table analysis of the proposed route through the ancient woodland of a motorway from the A2 to a bridge at Gallions Reach. There seems to be a consensus that the roads leading to the Gallions crossing are inadequate for the expected traffic flows. If we’re not careful the woods will be threatened again. Oh, and of course it will be the end of the Free Ferry: the new crossings will all be tolled. Commenting on the Royal Borough of Greenwich Draft Core Strategy is hard work. It’s not just that the Strategy itself is 235 pages of planner-speak, but there are also a large number of supporting documents, such as the Sustainability Appraisal and the Tall Buildings Assessment. Some of them, like the Areas of High Archaeological Potential document and the Biodiversity Action Plan, are quite interesting but still a lot of information to try to assimilate. But it has to be done, even if these consultations seem to be cynical. 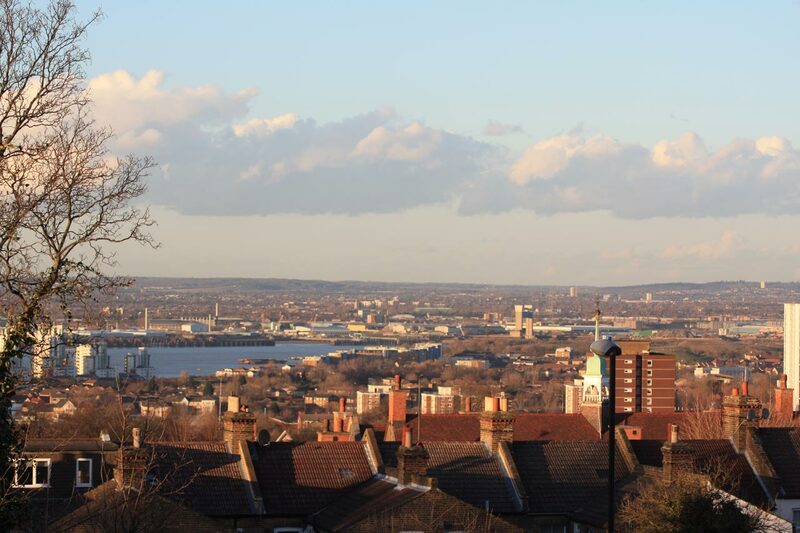 The Core Strategy and other documents that make up the Local Plan will be the basis of planning decisions in Greenwich until 2028 ao it’s important that they are right. The strategy is wide-ranging. For example it proposes building an additional 32,235 houses in the borough by 2027 – the population is expected to increase by 22.5%, more than a fifth, from 2010 levels to 288,000 by 2027. It also enshrines support for the Silvertown Tunnel in policy C3, critical transport infrastructure. But it doesn’t mention betting shops anywhere. The current consultation is the last opportunity for public involvement in deciding the planning strategy before it is submitted to the Planning Inspectorate. The Planning Inspectorate will then chair a formal “Examination in Public” (EiP), which is likely to be a number of round table hearings depending on the volume of comments. However only people who have made comments at this stage of the process, and who have indicated that they want to attend, will be able to participate. Consistent with national policy – the plan should enable the delivery of sustainable development in accordance with the policies in the Framework. The LTF will be holding a workshop on 7th May which will provide guidance for community groups who want to make written responses to the consultation. Jenny Bates from Friends of the Earth will provide analysis of the environment & climate change and transport sections of the strategy. 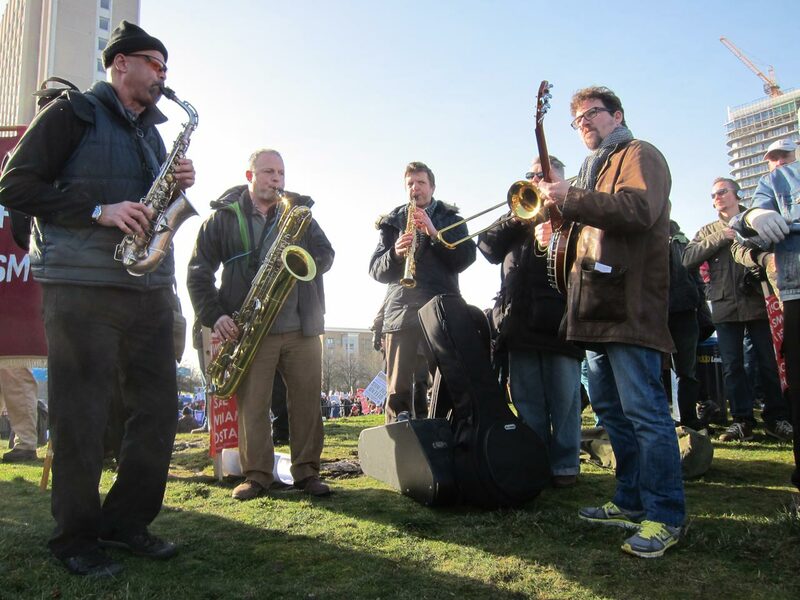 It will also cover topics such as Housing, Economic Activity and Employment, Regeneration and Transport. Email info@londontenants.org for details. 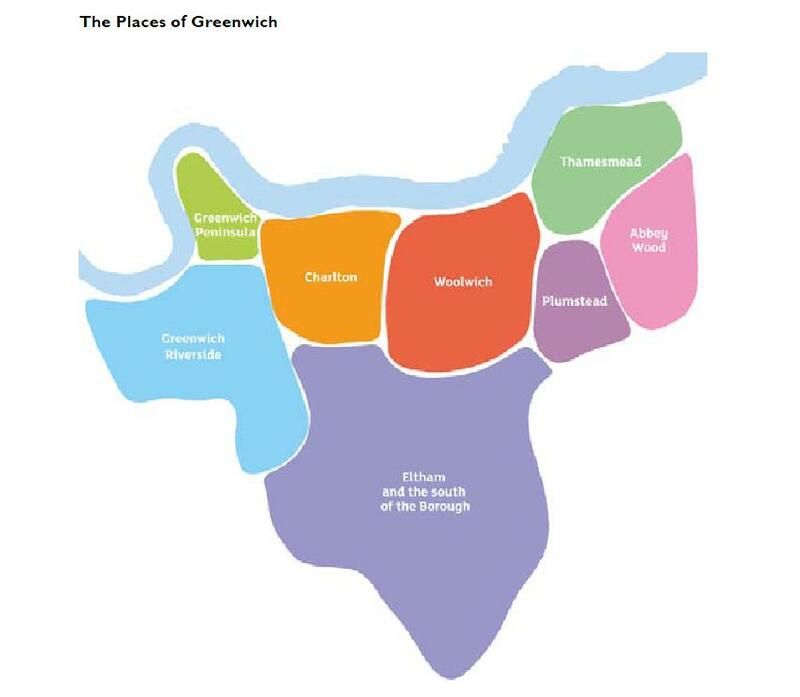 The closing date for comments of the Greenwich Core Strategy is 14th May 2013. You can do so through the Greenwich Consultation Portal. Question: Why are you reducing the size of the Safer Neighbourhood Teams? Answer: We’re increasing the number of police in the Safer Neighbourhood Teams. Question: The Safer Neighbourhood Teams work really well, why are you reducing their size? Question: I’m against the reduction in the number of officers in the Safer Neighbourhood Teams, why are you doing it? I felt a strange mixture of confusion and deja-vu by the end of the Mayors Office on Policing And Crime (MOPAC) consultation event at the end of January. We had been told that each Safer Neighbourhood Team would be reduced in size from two police officers and three police community support officers (PCSOs) to one police officer and one PCSO. We had also been told that the number of officers allocated to SNTs in Greenwich would be increased by 88 (and that we should be grateful for that). Why the difference? No-one was saying, even after a direct question about how SNT resourcing works. It was quite easy for the panel to avoid questions because the chair had cunningly combined questions into groups of three before they were answered, so some questions just weren’t addressed. We did find out that the Deputy Mayor for Policing and Crime had to attend a large number of consultation events (poor chap), but not what was so interesting on his mobile phone. We’re also going to have sheriffs apparently. Hopefully the Sheriff of Shooters Hill won’t meet Robyn Hood in Oxleas Woods. I think what was being proposed was that each individual SNT would have fewer officers assigned permanently to it, but there would be a larger pool of officers who would be temporarily assigned to individual SNTs on an as needed basis. It would have been nice to learn how this would work in practice, but the consultation event was kept strictly to one hour, which wasn’t really enough to cover all the issues raised by the new Police and Crime Plan 2013-2017, which also proposes the closure of Woolwich and Greenwich police stations. 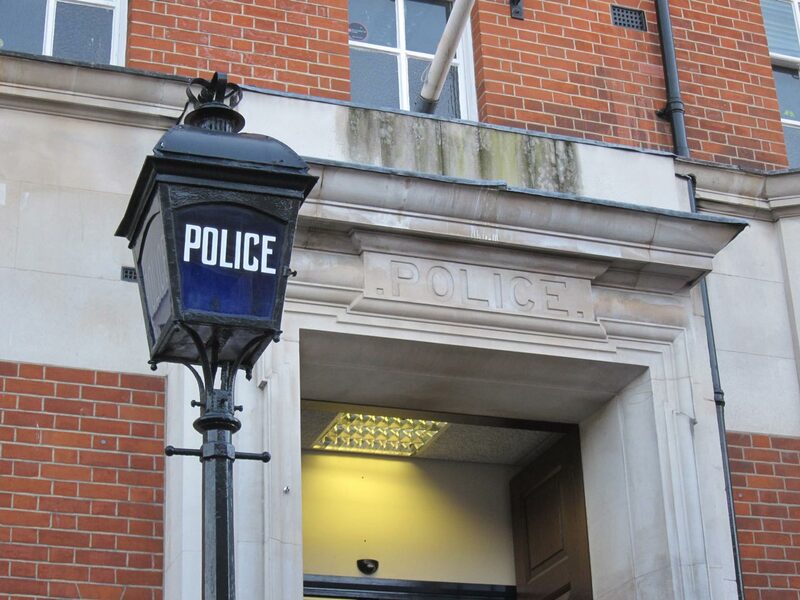 The Consultation on the Police and Crime Plan 2013-2017 finishes tomorrow, 6th March 2013, so there’s not much time to register our views. There’s an on-line form for comments. 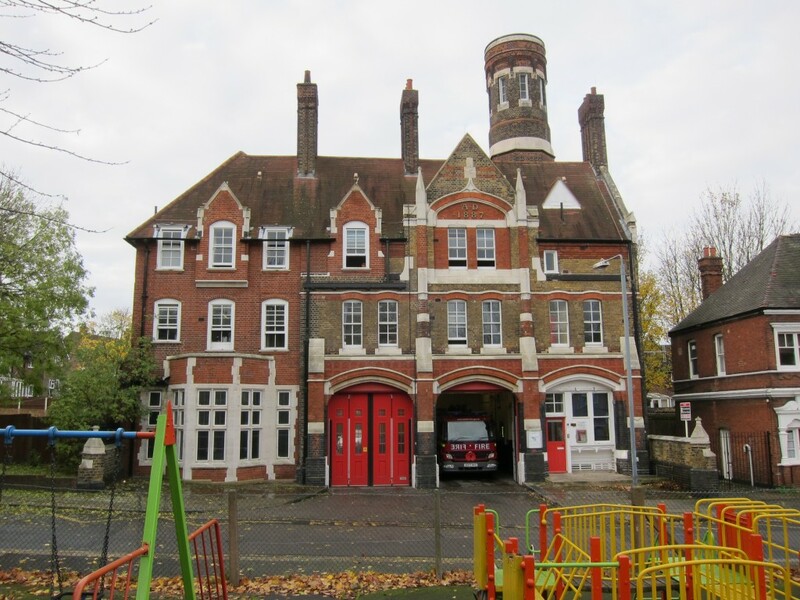 A consultation has also started on the Draft Fifth London Safety Plan (LSP5) which, amongst other things, proposes the closure of 12 fire stations including Woolwich. Again there is an online survey to give our views, and we have until the 28 May 2013 to do so. 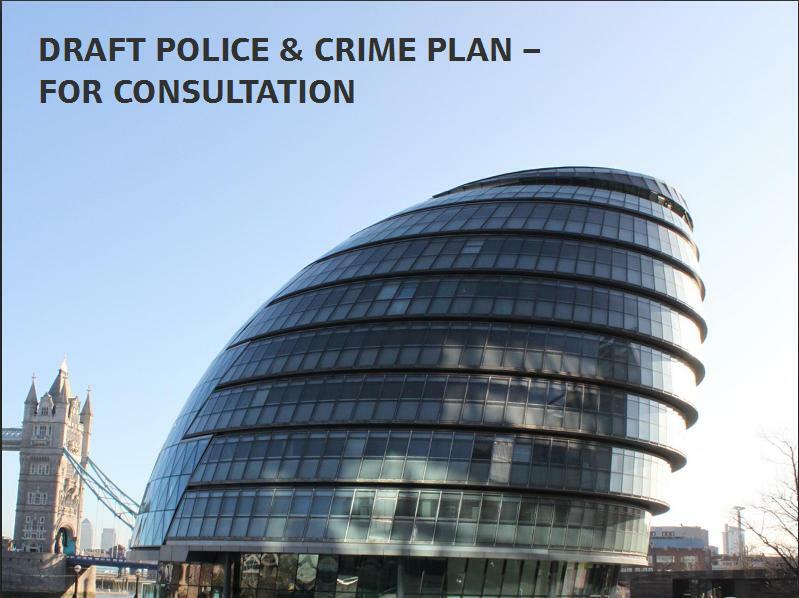 The MOPAC consultation event made me wonder whether it was worth responding – will it make any difference if everyone says they don’t want police stations to close, or will they just go and do it anyway? There is a recent precedent with the consultation about the South London Healthcare NHS Trust and the proposal by the Trust Special Administrator to close Accident and Emergency at Lewisham Hospital. Despite the majority of respondents saying they were against the proposal, and despite 25000 people marching through Lewisham to object, and despite nearly 35000 people signing a petition against the proposal, the Secretary of State for Health, Jeremy Richard Streynsham Hunt, decided to do it anyway. The Transport for London consultation about the Thames river crossings and the possible closure of the Woolwich Free Ferry seemed to be better than others inasmuch as their reports on previous public feedback suggested that some notice was being taken of our input. But now we hear that Greenwich Council is trying to get the power to build a bridge at Gallions Reach whatever we say and whatever TfL decide! What a lot of consultations! And it can be quite hard work to respond to them: the TSA draft document about South London Healthcare was some 373 pages of largely impenetrable management gobbledegook; not an easy read. Is it worth the effort when it seems that politicians treat the result so cynically? Yes, I think it is as it is one of the few ways possible to make our views known. But politicians shouldn’t complain about public disengagement with the political process, such as low turn out at elections, when they themselves fail to engage with the public when they get the opportunity. Royal Greenwich is preparing a new planning policy document called the Core Strategy with Development Management Policies. This document will replace the existing planning policies for the Borough (the Unitary Development Plan) and will be used by the Council to help shape development up to 2028. When it is adopted, the Core Strategy with Development Management Policies will become the key strategic planning document for Royal Greenwich. It will be used to help shape development and determine all planning applications. Key features of the proposed strategy are explained in the latest draft document. They include:a significant number of new homes by 2028 the creation of two new mixed use urban quarters at Charlton Riverside and Greenwich Peninsula West. Strategic and development management policies will be used to guide development applications in the borough. These cover a range of topics such as open spaces, infrastructure and environment and climate change. Following previous public consultations on the Draft Core Strategy with Development Management Policies we are due to begin our 12 week consultation period on the Proposed Submission Version on the 19th February 2013. We have until 14th May 2013 to comment through the Planning Consultation Portal. You will need to register to be able to comment.